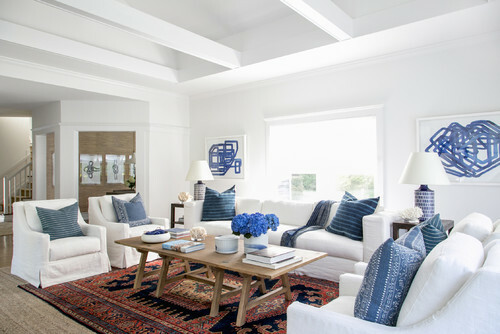 I have featured the work of interior designers Chango and Co numerous times as I love their style, especially when it comes to a Hamptons look. 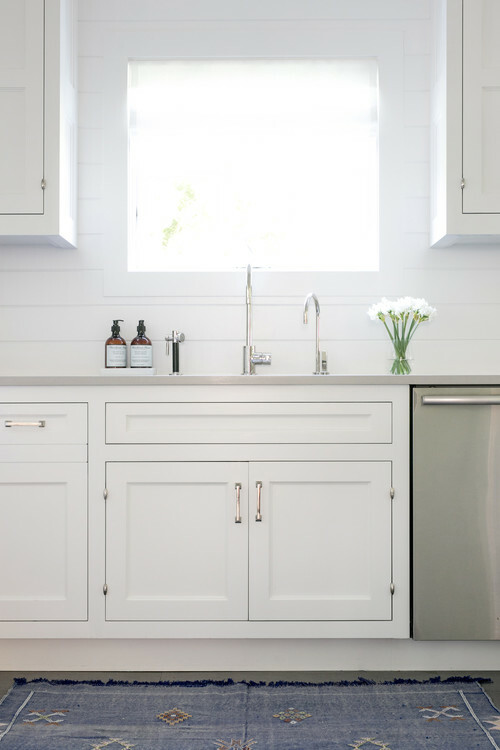 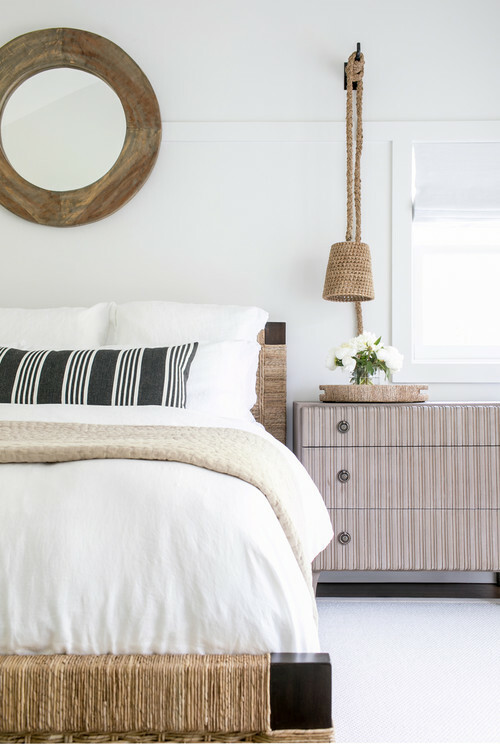 This gorgeous East Hamptons cottage is the perfect example of their take on modern Hamptons. 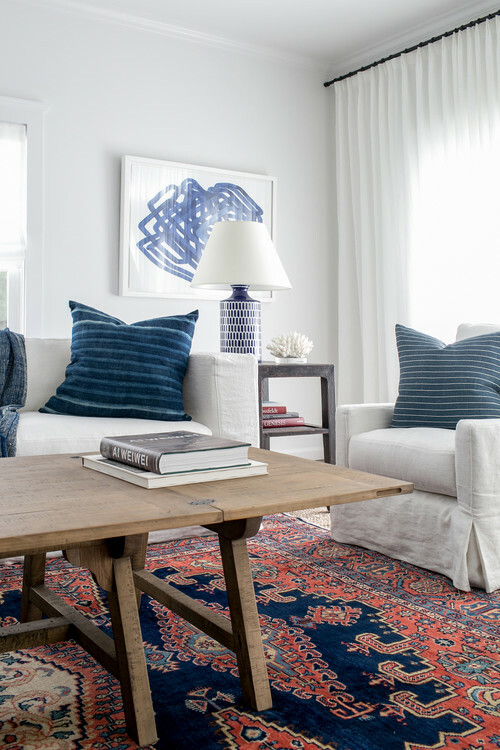 Textures are important to good design, and Chango have used both traditional woollen Turkish style rugs alongside sisal and jute. 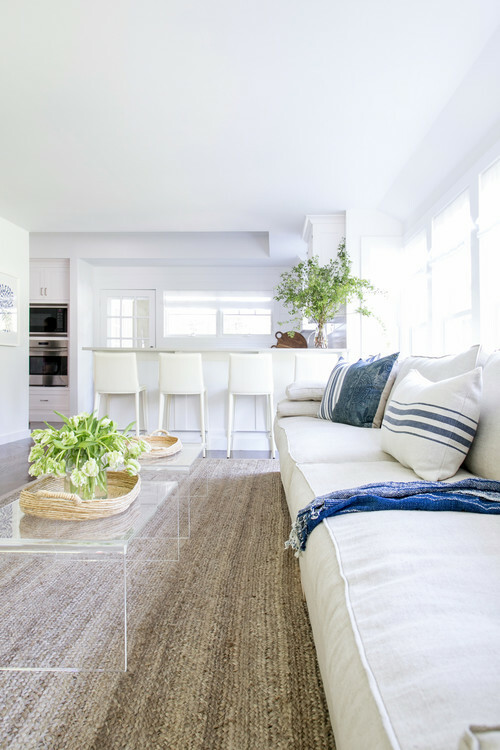 Blue and white are the go to colours when it comes to Hamptons and Chango have chosen this palette for the living room using coastal stripes, however the blue and white abstract artwork gives the space a modern feel. 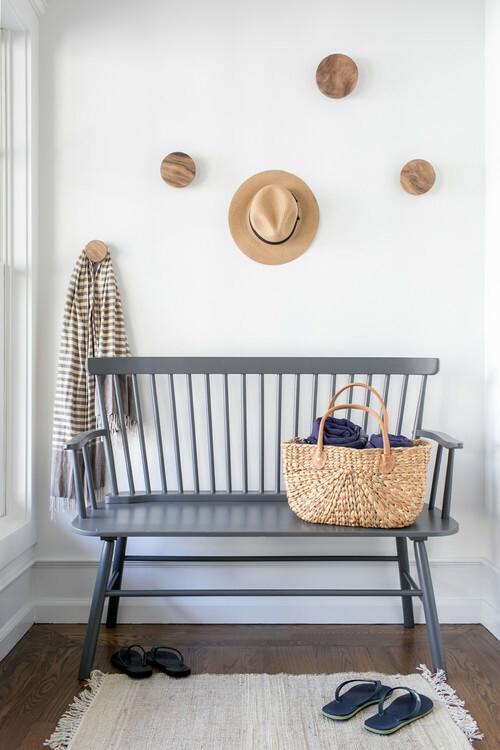 Even the entry which features a tradtional style love chair has the addition of a contemporary touch with the large, round hat pegs. 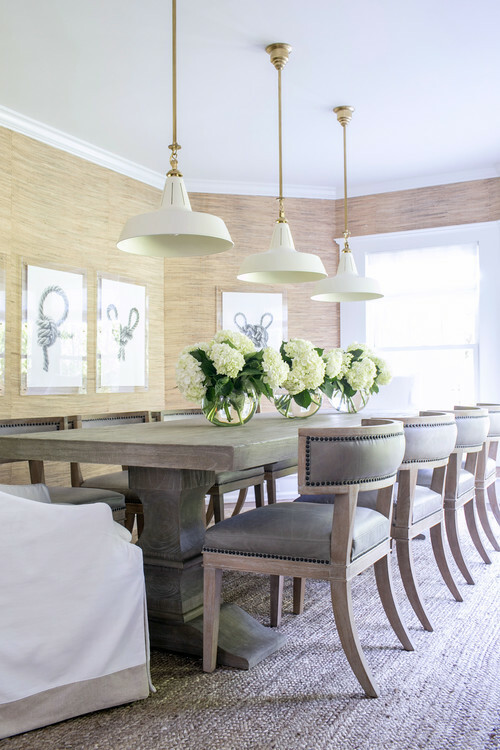 Chango have given the dining room a more formal look and feel with the use of textured wallpaper, yet they have pared it back by the addition of a sisal/jute rug and the choice of lights. 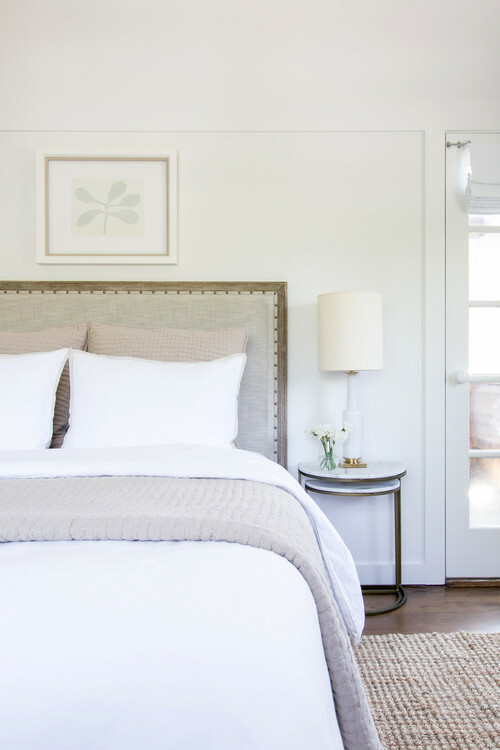 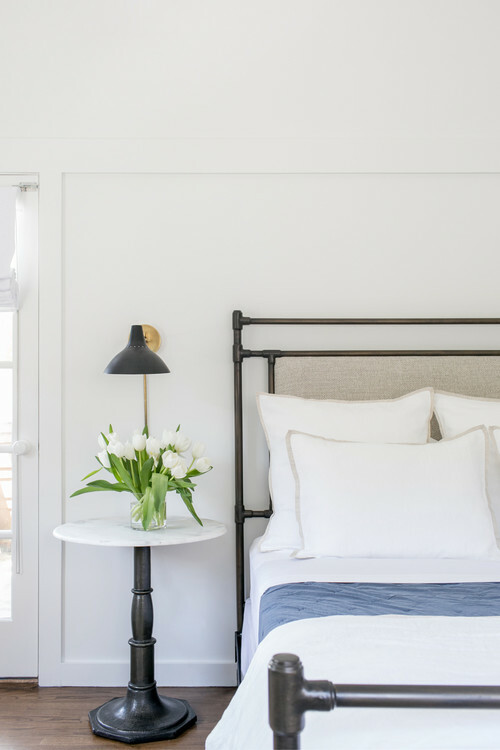 The bedrooms are a mix of textures and styles, with modern upholstered headboards seen in a couple of rooms and a more traditional iron headboard in another. 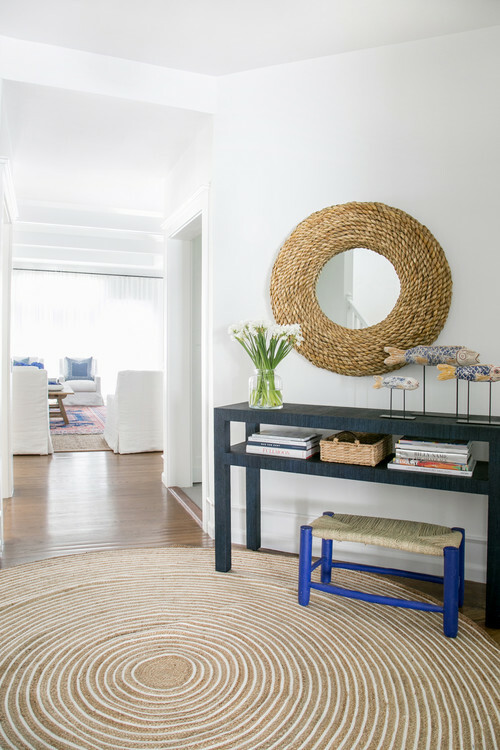 A child's rooms features a nautical Hamptons look with a traditional palette of red white and blue stripes. 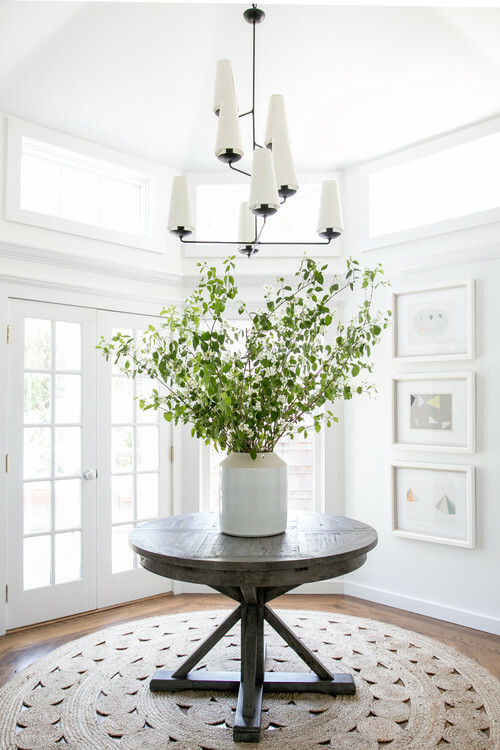 I hope you've enjoyed peeking into this gorgeous home and its inspired you on your home decorating journey. 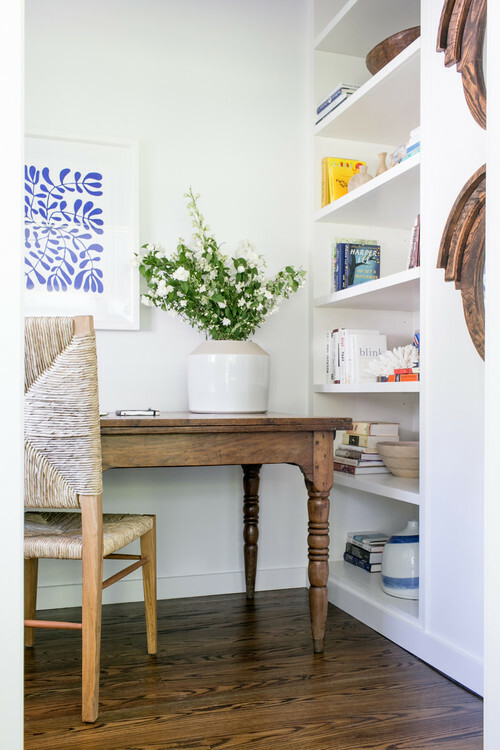 I have a small office and no grandchildren, however if I did have a grandchild, without a doubt I would be turning my office into a child's bedroom just like the one above.